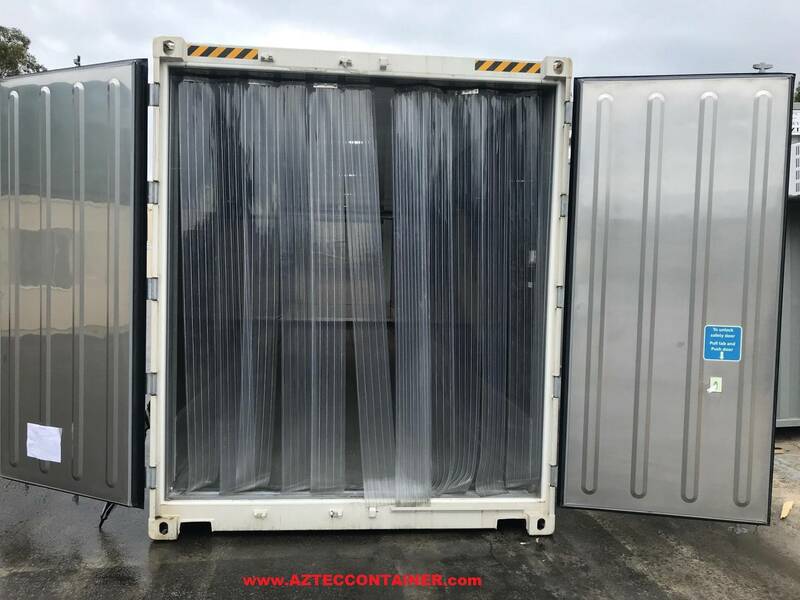 New one trip containers have been used only once when shipped from their overseas manufacturer. 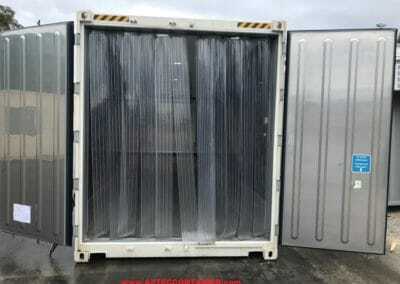 They are in excellent condition, the refrigeration unit works great and are reliable, cargo doors are easy to open & close and the unit can get extremely cold. 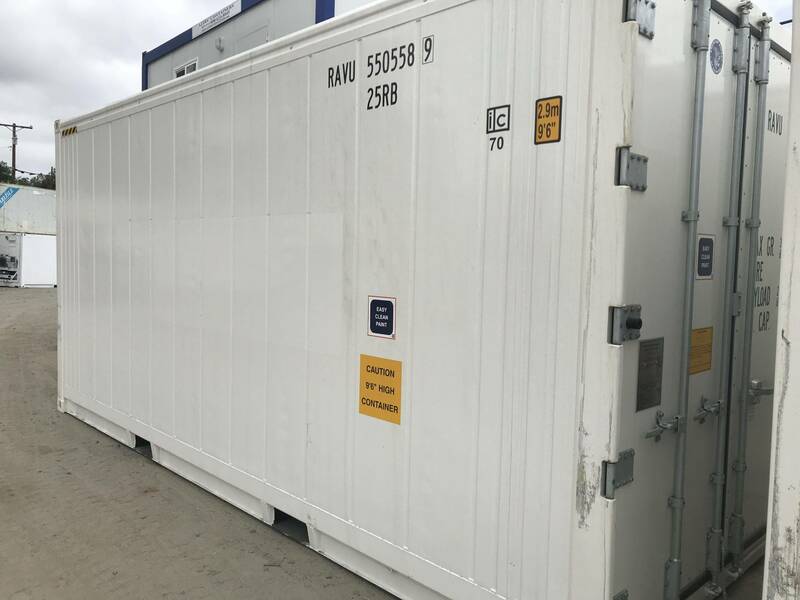 Used shipping containers are the best choice for you are looking for less expensive cold storage solution. 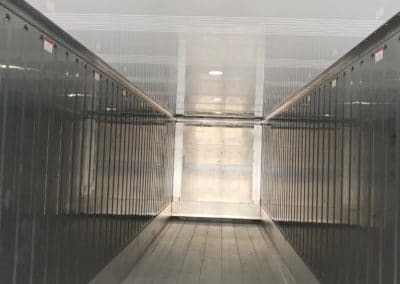 The refrigeration units are pre tripped to make sure the units are operating normally before shipping to your location. 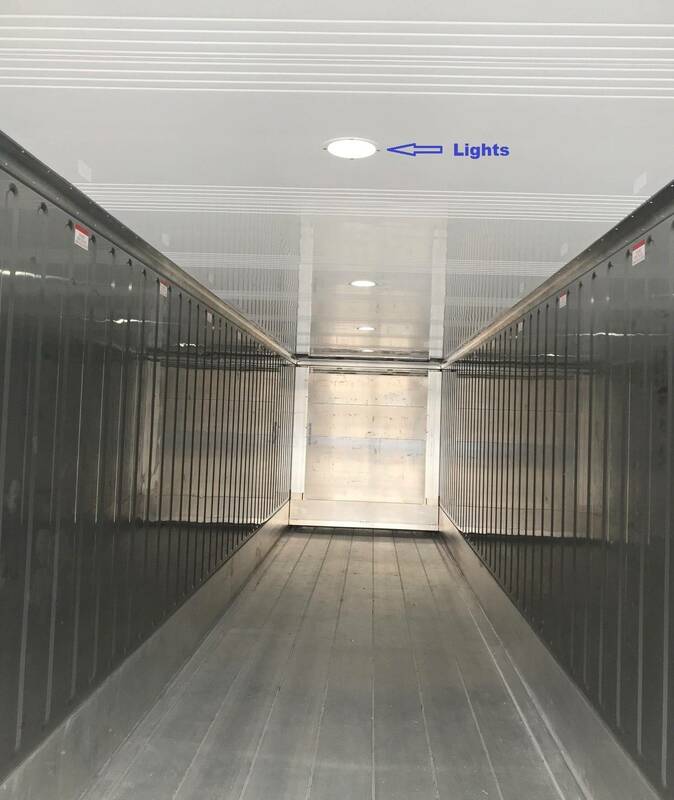 This is a quick and easy solution for your cold storage needs on your property. Sales are available Nationwide and Rentals are available in California, Oregon, and Washington. Call us at 1-800-399-2126 for a quick quote or fill out our quick quote form. We offer competitive prices and fast delivery. 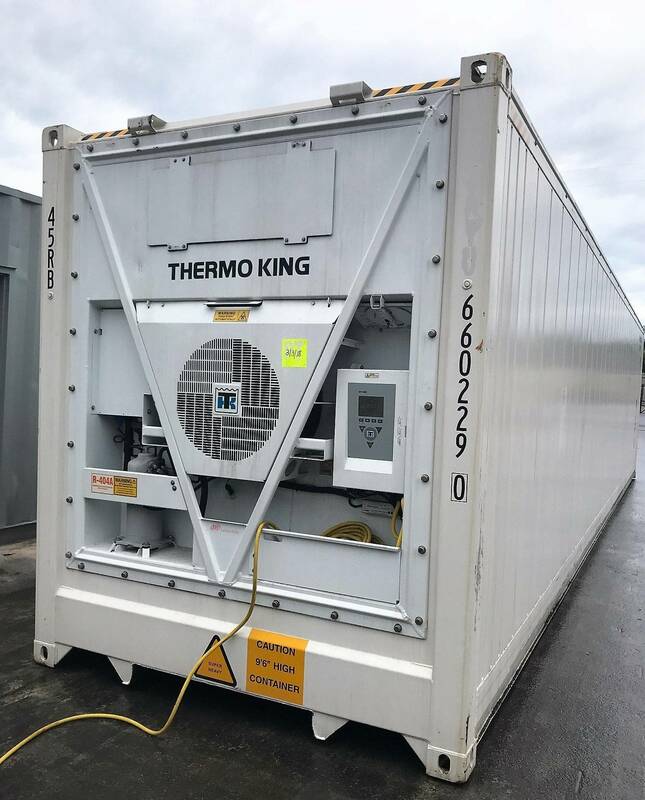 A refrigerated shipping container or reefer is an intermodal container used on site as a refrigerator or freezer. 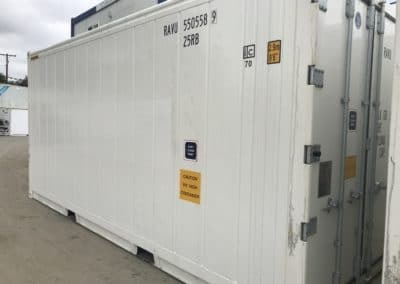 Ideal for restaurants, farming operations, packing houses and any other business that requires cold storage. We carry both used and new one trip units. They require 3 phase power and can run on either 440-volt power or 220-volt power with a transformer. 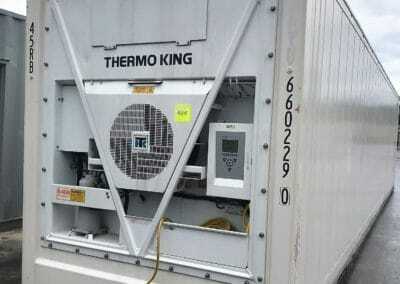 Refrigerated containers are capable of controlling temperature ranging from 31 to -35 Celsius or 86 to -31 Fahrenheit.